Let our combined 65+ years of experience help you obtain a fresh financial start. Zero-Dollars Down. You Don't Pay Until Your Case Is Filed! The largest bankruptcy law firm in Idaho. The most bankruptcy cases filed in Idaho since 2014. The only law firm offering the 720 CreditScore program. Find out how to get started and what to expect. Learn about the benefits of filing for bankruptcy. Struggling with extensive debt? Having helped numerous individuals and families with more than 6,000 bankruptcies, our bankruptcy lawyers have developed a breadth of experience and legal knowledge that we use to help our clients through the complexities of the bankruptcy process. Avery Law serves all of Southern Idaho, with offices in the Boise Metro, Idaho Falls, Pocatello and Twin Falls, and we have helped thousands of clients since 1985. 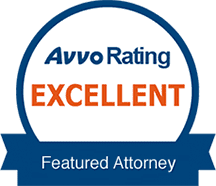 Founding attorney John O. Avery has an "Excellent" rating on Avvo and is admitted to the Bar of the United States Supreme Court. Committed to delivering positive results that can last a lifetime, our firm has proven that we have the capabilities and commitment needed to help clients complete their unique actions as swiftly and accurately as possible. Personal and business bankruptcy has been our firm's staple for nearly 30 years. As bankruptcy is the core of our practice, you can be confident that our legal team has the skills and insight needed to handle whatever your case may bring. We are solely dedicated to protecting your best interests throughout the entirety of your case! Avery Law is the best decision you can make during your bankruptcy journey, we want all prospective clients to take advantage of our free case evaluations. During these consultations, you can meet with an experienced member of our legal team to receive an in-depth analysis of your current financial situation to learn about your available options. You can also voice your questions and concerns and learn about the way in which our Idaho bankruptcy attorneys can help you on your way toward strong economic health. We want to help you through the process! Our firm has the experience necessary to deliver the high-quality services you require. We offer comprehensive services to help clients who are in need of foreclosure defense or protection from creditor harassment. Bankruptcy can be complex for many individuals, whether they are just beginning to consider debt relief or they have already exhausted other options. We stand by our clients and strive to help them achieve a positive case outcome. We can explain the timeline of bankruptcy and provide perspective and legal counsel regarding your circumstances. Our Boise Metro bankruptcy attorneys have a range of skills to use to your advantage and can offer the insight you need. Our firm is committed to ensuring that our clients achieve the best possible results. As you seek a better financial future, your first step should be to schedule a free case evaluation. Contact our firm at your earliest convenience! Avery Law proudly serves clients along the Snake River Valley, with offices in Boise Metro, Twin Falls, Pocatello and Idaho Falls.